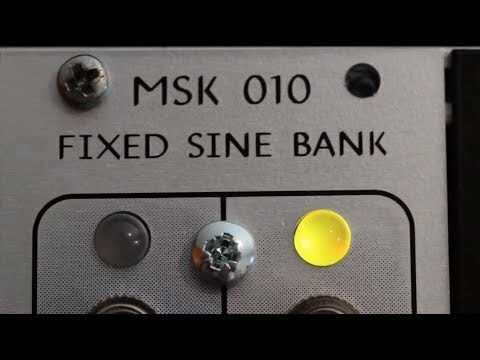 MSK 010 Fixed Sine Bank - North Coast Synthesis Ltd.
Never run out of modulation sources again. With the MSK 010 you get eight fixed-frequency LFOs with nice smooth sine waveforms in 8HP, which is one of the best LFO to HP ratios in the Eurorack world. The MSK 010's Wien-bridge oscillator cores produce low-frequency sine waves natively, in a fully analog way with a minimum of harmonic distortion. There are no glitches from waveshaping or stair-steps from insufficiently filtered digital-to-analog conversion. 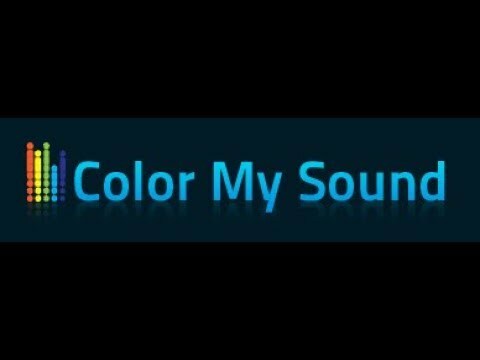 Modulate synthesis parameters with these for smoothly evolving timbres and mind-expanding soundscapes. Because the cores are fully independent and will not synchronize, a patch using multiple LFOs will not repeat its modulation state for a long time, if ever. Choose one of three variants of this module, each with its own set of eight nominal frequencies and cycle times. There are no duplicate or near-duplicate frequencies between different variants, so with two or three, you get the full benefit of a larger modulation palette. Note that the nominal frequencies are just that; every module will have its own one-of-a-kind pattern of exact output frequencies within a few percent of the nominal values, due to component tolerances. The MSK 010 is available as a pre-built 8HP Eurorack module or for do-it-yourself construction, with prices as low as zero (if you download the plans and source all the parts yourself). Imagine having enough LFOs to modulate everything. All three variants build from the same bill of materials; one full kit or PCB set can be used to build any one variant of your choice. No compromises on build quality: real aluminum panel, not PCB material, with colour printing; nickel and gold plating on the circuit boards; close-tolerance fixed resistors and integration capacitors. 8HP Eurorack synthesizer module, 43mm deep including mated power cable. Maximum current requirements in normal use: 40mA +12V, 40mA -12V. Reverse-connection protected. Build difficulty: easy. All through-hole. No adjustment or trimming. Click titles for patch notes, and visit our audio server for more tracks made with the MSK 010.